Enterococcus faecalis on bile esculin agar. E.faecalis colony morphology. 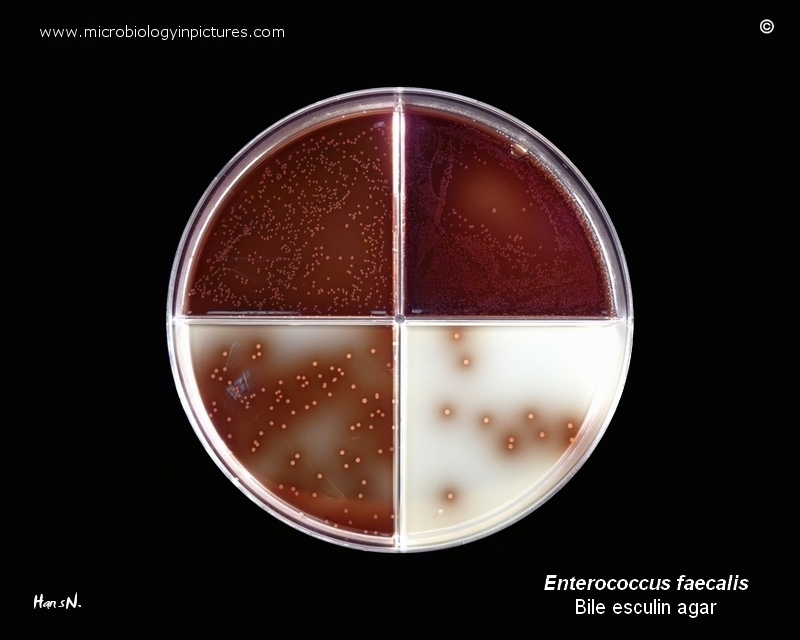 Enterococci growing on bile esculin agar. Appearance of Enterococcus faecalis colonies. Practically all Enterococcus spp. hydrolyse esculin. Organisms positive for esculin hydrolysis hydrolyze the esculin to esculetin and dextrose. The esculetin reacts with the ferric citrate to form a dark brown or black complex (blackening of medium around the colony). The medium contains bile salts to inhibit gram-positive bacteria other than enterococci.